They possess a smooth, thick shell with small teeth on the internal rim of the shell, generally near the hinge. The mantle edges and the adductor muscle scar are pale in colour. Sydney Rock Oysters reach approximately 60 g in 3 years, and have been known to live for up to 10 years. Sydney Rock Oysters are endemic to Australia and inhabit sheltered estuaries and bays, from Hervey Bay in Queensland to Wingan Inlet in Victoria. The introduced Pacific Oyster (Crassostrea gigas) is now found throughout most of the range of the Sydney Rock Oyster. 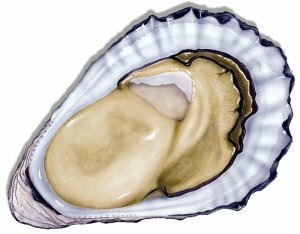 The Pacific Oyster has a thin, rough shell with no hinge teeth on the upper shell, the mantle edges are black and the adductor muscle scar is purple/brown in colour.